The JAKARTA INTERNATIONAL JEWELLERY FAIR (“JIJF”) is the most glamorous and comprehensive jewellery trade fair that provides entrepreneurs and business owners alike to congregate, trade, and exchange latest market information within jewellery industry in Western Indonesia. Jakarta, sitting as the capital city of Indonesia with over 250 million people, has a great potential to become a hub for jewellery industry within the region. It gives a huge consumer-retailed market with its market potential barely tapped into. Let alone, the population of Jakarta and its suburbs has around 21 million people making it one of most populated city in the world. The growth of Indonesia economy consistently above 5% per annum for the past several years has made it one of the fastest economic growth countries in the world, and the city of Jakarta is at the heart of that growth in term of its consumers’ purchasing power with an ever growing middle class population. This year 12th JAKARTA INTERNATIONAL JEWELLERY FAIR 2018 (“12th JIJF 2018”) will hold and expand its annual trade fair on 19 – 22 APRIL 2018 at ASSEMBLY HALL – JAKARTA CONVENTION CENTER, JAKARTA – INDONESIA. Jakarta Convention Center is located at the heart of CBD with 4 main-road accesses and over 3,000 parking lots. Please check out the website www.jcc.co.id to find out more. The fair provides great opportunity for manufacturers, distributors, wholesalers and suppliers in diamond, gold, silver, pearl, precious and semi precious stones to congregate and establish business relationship with many untapped Indonesian jewelers and regional jewellery traders. There is no better way to expand your business network in INDONESIA than taking part into this fair. Exhibitors of 12th JIJF 2018 will showcase wide selections of gold, silver, pearl, diamond, precious & semi-precious stones, rough stones, and other fine crafts & jewellery with latest designs and high-tech jewellery machineries that set upcoming trends for consumer and jewellery markets. Other attractive merchandises, such as: jewellery accessories, machinery, equipment & tools, and display & packaging will also be showcased at the fair. FOR DOMESTIC AND OVERSEAS JEWELLERY MANUFACTURERS, DISTRIBUTORS, WHOLESALERS, AND RETAILERS WHO WANT TO CAPTURE, EXPAND AND PENETRATE INTO INDONESIA HUGE CONSUMERS AND RETAILING MARKETS, THIS IS THE ANNUAL FAIR THAT YOU DEFINITELY HAVE TO PARTICIPATE AND CANNOT AFFORD TO MISS OUT!!! 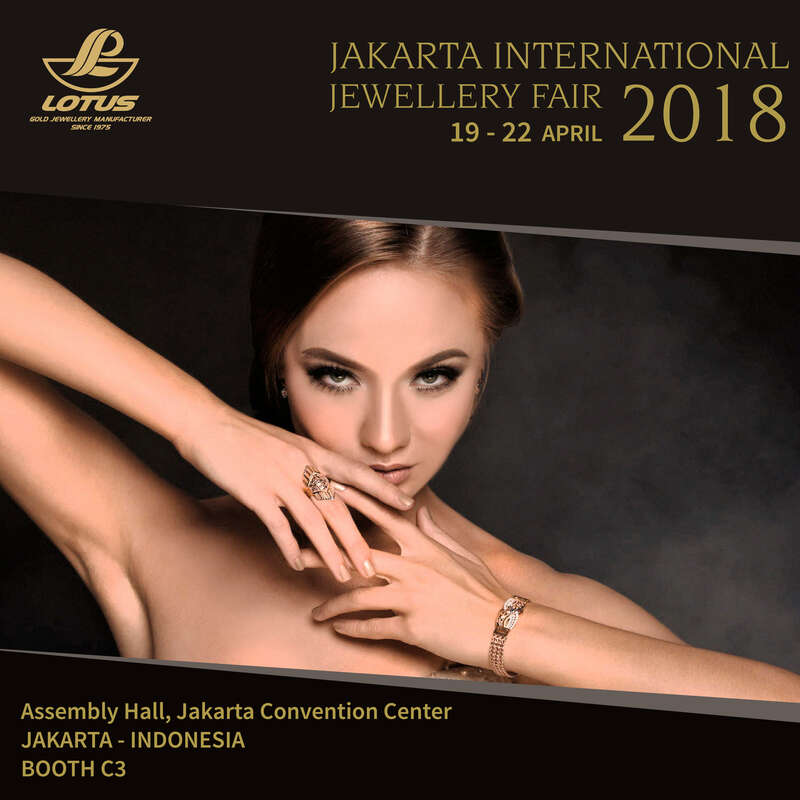 Lotus Lingga Pratama will be exhibiting at Jakarta International Jewellery Fair ("JIJF") 2018. Come and visit us at Booth C3.